I finished this book over a week ago and I've been trying to decide how to write this review. I wasn't sure what to expect when I picked this book up. I love memoirs but traditionally, I choose ones by people that I actually know. 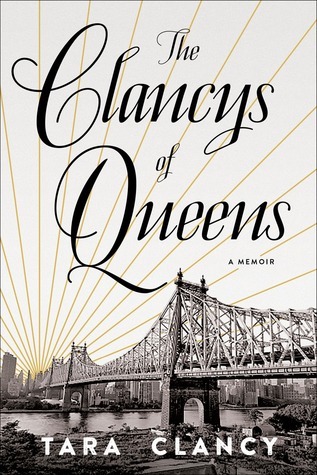 In this case, I have and had no idea who Tara Clancy was, though I did get to know her throughout her book. In fact, I got to know quite a few interesting characters. When the book opened up, I smiled at her memories of her grandparents and what life was like when she was with them. As the book progressed though, I found myself smiling less as the language picked up and some of the stories seemed too out there to be true. Are they true? I don't know. I mean, I have stories that people look at me and say there's no way that happened, but they did. Then, the book abruptly ended and it didn't feel as if there were any closure to it. If I had to rate this book (and I kinda do), I'd give it at 3 out of 5. It's not a bad read, but I feel as if I may not have been the right audience for it.